Dr. I.B. (Isaline Blew) Horner (March 30, 1896 - April 25, 1981) was a leading scholar of Pali literature, late president of the Pali Text Society (1959-1981) and recipient of the Order of the British Empire (1980). On March 30, 1896, Horner was born in Walthamstow in Essex, England. In 1917, at the University of Cambridge's women's college Newnham College, Horner was awarded the title of a B.A. in moral sciences. After her undergraduate studies, Horner remained at Newnham College, becoming in 1918 an assistant librarian and then, in 1920, acting librarian. 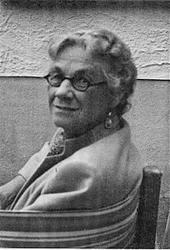 In 1921, Horner traveled to Ceylon (Sri Lanka), India and Burma where she was first introduced to Buddhism, its literature and related languages. In 1923, Horner returned to England where she accepted a Fellowship at Newnham College and became its librarian. In 1928, she became the first Sarah Smithson Research Fellow in Pali Studies. In 1930, she published her first book, Women Under Primitive Buddhism. In 1933, she edited her first volume of Pali text, the third volume of the Papancasudani (Majjhima Nikaya commentary). In 1934, Horner was awarded the title of an M.A. from Cambridge. From 1939 to 1949, she served on Cambridge's Governing Body. 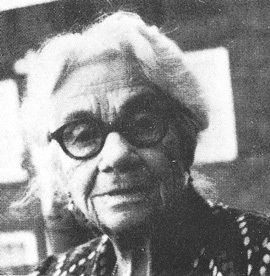 From 1926 to 1959, Horner lived and traveled with her companion "Elsie," Dr. Eliza Marian Butler (1885-1959). Horner was a cousin of the British Theravada monk Ajahn Amaro. In 1942, Horner became the Honorary Secretary of the Pali Text Society (PTS). In 1943, in response to her parents' needs and greater PTS involvement, Horner moved to London where she lived until her death. In 1959, she became the Society's President and Honorary Treasurer. In 1964, in recognition of her contributions to Pali literature, Horner was awarded an honorary Ph.D by Ceylon University. In 1977, Horner received a second honorary Ph.D from Nava Nalanda Mahavihara. In 1980, Queen Elizabeth II awarded Horner the Order of the British Empire (OBE) for her lifelong contribution to Buddhist literature. Book of the discipline (Vinaya-pitaka) (1938), translated by I. B. Horner. Madhuratthavilasini nama Buddhava?sa? ?hakatha of Bhadantâcariya Buddhadatta Mahathera (1946/1978), ed. by I.B. Horner. Living thoughts of Gotama the Buddha (1948/2001), by Ananda K. Coomaraswamy and I.B. Horner. Milinda's questions (1963), translated by I. B. Horner. Buddhist texts through the ages (1964/1990), translated and edited by Edward Conze in collaboration with I.B. Horner, David Snellgrove, Arthur Waley. Minor anthologies of the Pali Canon (vol. 4): Vimanavatthu and Petavatthu (1974), translated by I. B. Horner. Minor anthologies of the Pali Canon (vol. 3): Buddhavamsa and Cariyapitaka (1975), translated by I. B. Horner. Apocryphal birth-stories (Pannasa-Jataka) (1985), translated by I.B. Horner and Padmanabh S. Jaini.